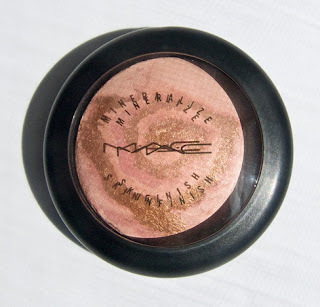 I just haven't been a fan of MAC Mineralize Skinfinish texture for a few years now with the recently reformulated Lightscapade being the exception. Colour: No the colour on this one was tricky at first. When I first strid to swatch it i got a very dark rusty rose shade. I wasn't untill the secound try I got a much more considtent application out of this shade. 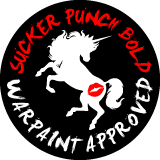 The reason for this is in the marbling. 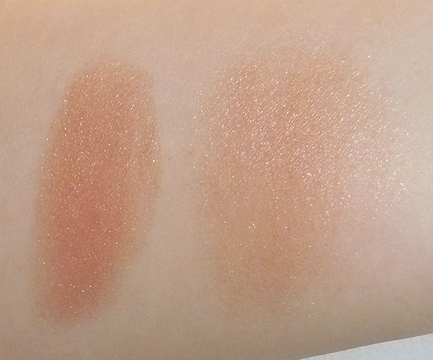 The cooper at first overwhelmed the blend before more of the soft satin pink tone started to blend in more. 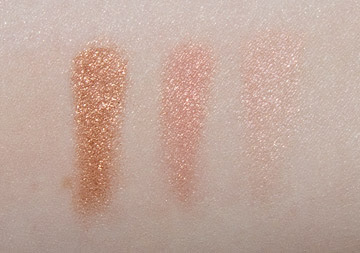 Dayalight Swatch: MAC Light Year Mineralize Skinfinish the three segment shades. 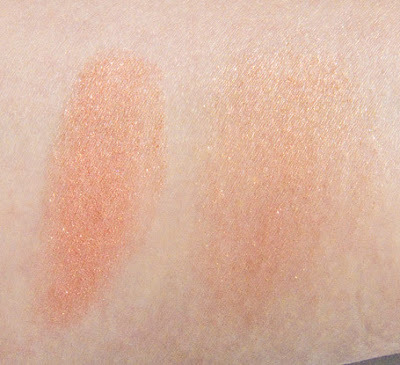 Dayalight Swatch: MAC Light Year Mineralize Skinfinish the three segment shades. 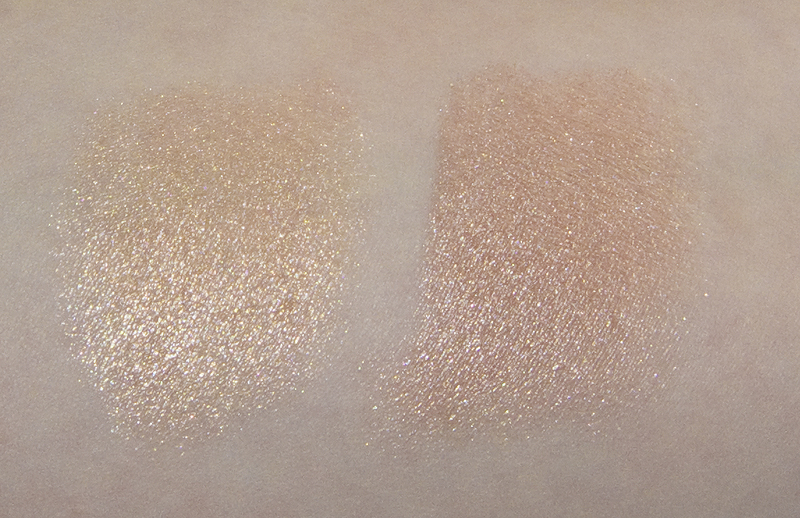 the three segment shades. Compare: I don't have something really that similar but compared to By Candlelight and Petticoat the finish is a lot smoother to the MSF of old. 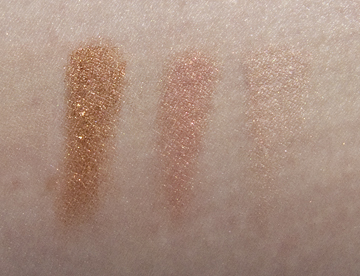 Flash Swatch: MAC Light Year Mineralize Skinfinish the three segment shades. 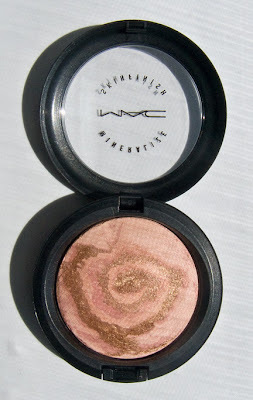 I do like this one, but on me this is a much more bronze with my ultra fair skin tone.